With much publicity, the NAS has launched yet another glossy anticreationist 88-page booklet, Science, Evolution and Creationism (SEC). This is actually a revised and expanded version of a 1984 publication, Science and Creationism, updated in 1999. This year’s update was much praised by such well known antichristian science journals as Nature and New Scientist. A decade ago, the NAS launched a teacher’s guidebook, Teaching about Evolution and the Nature of Science. My first book, Refuting Evolution (RE), was a detailed rebuttal to this. There is nothing really new in SEC that would disturb those familiar with RE or its sequel, Refuting Evolution 2 (RE2), or who are regular readers of Creation magazine and the associated Journal of Creation. But SEC seems directed to more naïve members of the general public to try to poison them against even considering creationist materials. Thus it knocks down straw man arguments and uses logical fallacies that the authors must realize are just that. 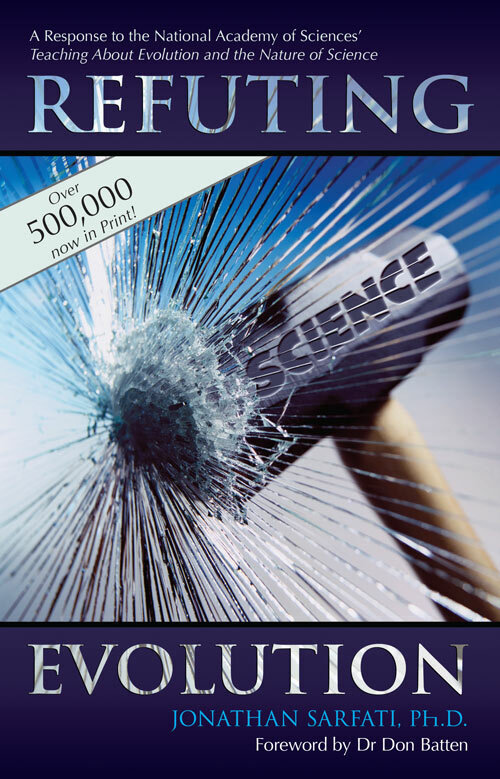 A major feature is trying to scare readers into believing that creation is a threat to science. 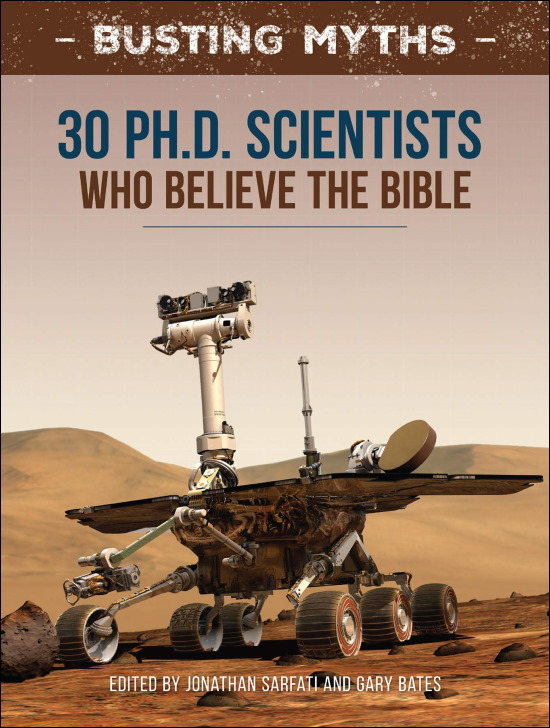 This book also seems to target church leaders, to try to assure them that evolution is no threat to their faith. Materialists have long used compromising churchians as ‘useful idiots’, the phrase Lenin used of his dupes in the west who inadvertently undermined their own foundations. That is, they convince church leaders that evolution and the Bible are compatible, and just let these leaders inadvertently give the impression that ‘science’ trumps the Bible when it comes to Earth history. Then they sit back and wait as young people leave the church in droves. These young people are really just being more consistent; if science trumps the Bible in history, then why not everywhere else? And for six hours a day, five days a week, they are taught a history of the world that ignores God, and are actually indoctrinated into a rival religion, secular humanism. So the Bible becomes superfluous, and they leave the church as soon as they are out from under their parents’ roof. Meanwhile, their leaders wring their hands at the hemorrhaging of young people from their flock, oblivious to their own role in the matter. And others don’t seem to want answers, as described in The Indoctrinator. This booklet aims to provide specific answers to the latest NAS agitprop. In many cases, these are in CMI’s previously published literature. The three main sections are Science, which mainly concerns biological evolution but also includes chemical and cosmic evolution, and the philosophy of science; Religion, including claims of non-overlap and non-conflict; and Legal/Educational Issues, including court cases and creation in schools. SEC text is in dark red. Evolutionary biology has been and continues to be a cornerstone of modern science. The creationist Robert Boyle (1627–1691) fathered modern chemistry and demolished the Aristotelian four-elements theory. He also funded lectures to defend Christianity and sponsored missionaries and Bible translation work. The creationist brothers Orville (1871–1948) and Wilbur Wright (1867–1912) invented the airplane after studying God’s design of birds. The theory of planetary orbits was invented by Johannes Kepler (1571–1630), famous for claiming that his discoveries were ‘thinking God’s thoughts after him’. Kepler also calculated a creation date of 3992 BC, close to Ussher’s. The theory of gravity and the laws of motion, essential for the moon landings, was discovered by the creationist Isaac Newton (1642/3–1727). The moon landing program was headed by Wernher von Braun (1912–1977), who believed in a designer and opposed evolution. And a biblical creationist, James Irwin (1930–1991), walked on the moon. See also Exploring the heavens: Interview with NASA scientist Michael Tigges. Some have claimed that most of these scientists would have been evolutionists had they known about Darwin. This is hypothetical and question-begging, and doesn’t explain the creationists who were contemporaneous with Darwin or lived after him. See also Newton was a creationist only because there was no alternative? In RE ch. 1, I explain more about the origins of modern science, and how evolution has nothing to do with it. This chapter also differentiates the operational science that should be credited with the advances SEC rightly praises, from the sort of science that deals with questions of origins. RE2 ch. 1 points out that America led the world in the number of Nobel prizes awarded, including in biology, before evolution was part of the school curriculum. And the Apollo moon landings were achieved by scientists and engineers educated under the same curriculum. Many of the most important medical advances were made without the slightest use being made of evolution. Anaesthesia by James Young Simpson (1811–1870), who believed that God was the first anaesthetist, citing Genesis 2:21. Germ theory of disease by Louis Pasteur, creationist (1822–1895), who disproved spontaneous generation, still an evolutionary belief. Insulin: its vital function was first discovered by the creationist Nicolae Paulescu (1869–1931), who named it ‘pancreine’. He anticipated the discoveries of Frederick Banting and John Macleod, who were awarded the 1923 Nobel Prize for Medicine for their work on insulin. See Denied the prize. In modern times, we have the outspoken biblical creationist Raymond Damadian (1936–), inventor of the Magnetic Resonance Imaging (MRI) scanner, and Graeme Clark (1935–), the inventor of the Cochlear bionic ear who is a Christian. In late 2002 several hundred people in China came down with a severe form of pneumonia caused by an unknown infectious agent. Dubbed ‘severe acute respiratory syndrome’, or SARS, the disease soon spread to Vietnam, Hong Kong, and Canada and led to hundreds of deaths. In March 2003 a team of researchers at the University of California, San Francisco, received samples of a virus isolated from the tissues of a SARS patient. Using a new technology known as a DNA microarray, within 24 hours the researchers had identified the virus as a previously unknown member of a particular family of viruses—a result confirmed by other researchers using different techniques. Immediately, work began on a blood test to identify people with the disease (so they could be quarantined), on treatments for the disease, and on vaccines to prevent infection with the virus. Certainly combating the SARS virus was great medical science, but was evolution really necessary? Even if they were right, all they found was a virus changing into a virus, which says nothing about how viruses might have evolved into virologists. It also says nothing about how viruses could have originated in the first place. They are incapable of independent reproduction, but are still very sophisticated, including a powerful miniature motor to wind up DNA. See also SARS and evolution: A new virus doesn’t that show evolution? But this whole piece is an example of the usual evolutionary fallacy of equivocation, or playing bait-and-switch with the term ‘evolution’: using the term to mean any sort of change, which no creationist doubts, then using evidence for this ‘evolution’ to prove the ‘goo to you via the zoo’ theory, which is what SEC is really all about. The important point is that the latter requires new genes with new information; while most of the ‘proofs’ of evolution in SEC are nothing of the kind. So the ‘evidence’ that SEC adduces for ‘evolution’ cannot be extrapolated for millions of years, since it involves the wrong type of change, in the wrong direction. See for example, Definitions as slippery as eels, as well as RE2 ch. 4. The claim that ‘existing infectious agents evolve into new and more dangerous forms’ is also fallacious. Once again, there are a number of ways that virulence could arise that have nothing to do with the changes required to turn germs into gymnasts. Some of them are discussed in RE2 ch. 4, under ‘Evolution of Pathogens’. However, natural selection also can have radically different evolutionary effects over different timescales. Over periods of just a few generations (or, in some documented cases, even a single generation), evolution produces relatively small-scale microevolutionary changes in organisms. For example, many disease-causing bacteria have been evolving increased resistance to antibiotics. When a bacterium undergoes a genetic change that increases its ability to resist the effects of an antibiotic, that bacterium can survive and produce more copies of itself while nonresistant bacteria are being killed. Bacteria that cause tuberculosis, meningitis, staph infections, sexually transmitted diseases, and other illnesses have all become serious problems as they have developed resistance to an increasing number of antibiotics. As usual, we have already shown why antibiotic resistance has nothing to do with bacteria-to-biologists evolution. In most cases, the resistance was already present, and the antibiotic knocks out the non-resistant forms. So there is indeed natural selection, but not evolution. Sometimes a genetic change can cause antibiotic resistance, but even these changes are akin to scorched earth war, where things the enemy can exploit are destroyed, rather than new machinery arising. As SEC says, sometimes a genetic change can cause resistance, but even these changes are akin to scorched earth war, where things the enemy can exploit are destroyed, rather than new machinery arising. E.g. antibiotic resistance is in one sense a war between the germs and the fungi that produce the antibiotic. Sometimes the fungus uses the germ’s own machinery against them—they produce an antibiotic that the germ’s own machines (enzymes) turn into a poison, killing the germ. But if the germ has a mutation that disables the machine, the antibiotic is rendered harmless. But this germ is still disabled, and could not compete with the germs outside the hospital. See again RE2 ch. 4, under Resistance, and Anthrax and antibiotics: Is evolution relevant? See also Is evolution really necessary for medical advances? When humans understand a phenomenon that occurs in nature, they often gain increased control over it or can adapt it to new uses. The domestication of wheat is a good example. By recovering seeds from different archaeological sites and noticing changes in their characteristics over the centuries, scientists have hypothesized how wheat was altered by humans over time. About 11,000 years ago, people in the Middle East began growing plants for food rather than relying entirely on the wild plants and animals they could gather or hunt. These early farmers began saving seeds from plants with particularly favorable traits and planting those seeds in the next growing season. Through this process of ‘artificial selection’, they created a variety of crops with characteristics particularly suited for agriculture. For example, farmers over many generations modified the traits of wild wheat so that seeds remained on the plant when ripe and could easily be separated from their hulls. Over the next few millennia, people around the world used similar processes of evolutionary change to transform many other wild plants and animals into the crops and domesticated animals we rely on today. In recent years, plant scientists have begun making hybrids of wheat with some of their wild relatives from the Middle East and elsewhere. Using these hybrids, they have bred wheat varieties that are increasingly resistant to droughts, heat, and pests. Most recently, molecular biologists have been identifying the genes in the DNA of plants that are responsible for their advantageous traits so that these genes can be incorporated into other crops. These advances rely on an understanding of evolution to analyze the relationships among plants and to search for the traits that can be used to improve crops. First, it is not surprising that archaeologists would find that the earliest agricultural evidence comes from the middle east. According to the Bible, this is where the first post-Flood people settled before they were dispersed at Babel (Genesis 11). However, the dates that SEC asserts are based on assumptions; the historical records of Genesis show that this agriculture can be no older than c. 2500 BC. Second, many of the advances in agriculture predated Darwin by millennia. Darwin was far from the first to recognize the principles of selection; he just thought that it could change microbes to man. The real science of selection, demonstrated above, merely results in varieties of the same kind. The reason is that selective processes weed out unwanted characteristics, while Darwinian evolution requires new characteristics. E.g. in the example given, farmers could select only the wheat seeds that best stayed on the plant after ripening, and exclude the others. They would repeat the process for the next generation, until all their wheat seeds stayed on the plant. This is the same process in principle as the illustration of the breeding of long-furred dogs in Refuting Evolution, ch. 2. Third, SEC inadvertently supports the above with the discussion of hybridizing with the wild type. The problem with selection is that it must work on the whole organism. If a farmer wanted large wheat grains, say, he would exclude small seeds from his next crop. But by doing this, he would also be excluding all the genetic information they carried, not just the information for smallness. This may include information for the resistance that SEC mentions. So this selection process is informationally downhill, the opposite to that required for goo-to-you evolution. So it’s no accident that there are seed banks for the wild types of a number of plants, but this is to preserve already existing information, not generate new information. In any case, most of the methods of agriculture were developed well before Darwin, such as animal breeding and horticulture. Even the advances after Darwin had nothing to do with his theories, e.g. mechanization, fertilizers, improved storage and refrigeration. … all organisms share some common traits because they all share common ancestors at some point in the past. For example, based on accumulating fossil and molecular evidence, the common ancestor of humans, cows, whales, and bats was likely a small mammal that lived about 100 million years ago. The descendants of that common ancestor have undergone major changes, but their skeletons remain strikingly similar. A person writes, a cow walks, a whale swims, and a bat flies with structures built of bones that are different in detail but similar in general structure and relation to each other. Evolutionary biologists call similar structures that derive from common ancestry ‘homologies’. Comparative anatomists investigate such homologies, not only in bone structure but also in other parts of the body, and work out evolutionary relationships from degrees of similarity. Only in the case of a created kind, e.g. we agree that tigers and lions share a common ancestor, as do false killer whales and dolphins. See Ligers and wholphins? What next? Crazy mixed-up animals what do they tell us? They seem to defy man-made classification systems but what about the created kinds in Genesis? But many organisms share similarities that evolutionists concede could not possibly have come from a common ancestor, called homoplasies. See for example the discussion on Tiktaalik’s limbs, since SEC makes much of the new fossil fish Tiktaalik as an alleged missing link. The pattern of similarities in biology supports The Biotic Message. That is, the evidence from nature points to a single designer (the similarities in general), but with a pattern that thwarts evolutionary explanations (the similarities that could not be due to common ancestry). Also, in most cultures that have ever existed, a common design would bring great honour to the designer, showing his mastery over what he had made—see Not to Be Used Again : Homologous Structures and the Presumption of Originality as a Critical Value. RE2 ch. 6 deals with such homologies and why they are not evidence for common ancestry but a common designer. See also Does homology provide evidence of evolutionary naturalism? The bones in the forelimbs of terrestrial and some aquatic vertebrates are remarkably similar because they have all evolved from the forelimbs of a common ancestor. This is an example of homologous structures. The common pattern is often referred to as pentadactyl (5-digits), and this is explained by common ancestry from a 5-digited creature. Yet the nearest creatures that evolutionists propose as common ancestors did not have five digits! Acanthostega had eight, while Ichthyostega had seven. Naturally SEC has to say something about man’s supposed animal ancestry. Study of all the forms of evidence discussed earlier in this booklet has led to the conclusion that humans evolved from ancestral primates. In the 19th century, the idea that humans and apes had common ancestors was a novel one, and it was hotly debated among scientists in Darwin’s time and for years after. However, Darwin wasn’t the first. But today there is no scientific doubt about the close evolutionary relationships between humans and all other primates. Using the same scientific methods and tools that have been employed to study the evolution of other species, researchers have compiled a large and increasing number of fossil discoveries and compelling new molecular evidence that clearly indicate that the same forces responsible for the evolution of all other life forms on Earth account for the biological evolution of human characteristics. However, the evidence indicates a big difference between humans and their alleged australopithecine ancestors. The analysis of a number of characteristics2 indicates that Homo ergaster, H. erectus, H. neanderthalensis as well as H. heidelbergensis, were most likely ‘racial’ variants of modern man. Conversely, many specimens classified as H. habilis and another specimen called H. rudolfensis were just types of australopithecines (extinct apes).3 The data don’t indicate transitional features or even mosaic evolution. Summary of the results of analyses of characteristics of fossil Homo species [After Table 7 in Ref. 2]. 1) body size, 2) body shape, 3) locomotion, 4) jaws and teeth, 5) development and 6) brain size. H = like modern humans, A = australopith-like, I = intermediate ? = data unavailable. There is also a huge difference between humans and apes in language capacity, as explained in RE2 ch. 6. Based on the strength of evidence from DNA comparisons, the common ancestor of humans and chimpanzees lived approximately 6 to 7 million years ago in Africa. But this is based on the ‘molecular clock’ concept, which is predicated on circular reasoning, since the dates of assumed splits from hypothetical ancestors are used to calibrate the ‘clock’ in the first place. The prominent evolutionist Svante Páábo, referring to such ‘date’ assessments from genetic comparisons, said that they ‘have errors of unknown magnitude associated with them’. See Recovery of Neandertal mtDNA: an evaluation. For insight into the fanciful story-telling that passes as the dating of the fossils of supposed human ancestors, see The Pigs Took it All. The evolutionary tree leading from this ancestral species to modern humans contains a number of side branches, representing populations and species that eventually went extinct. At various times in the past, the planet appears to have been populated by several human-like species. Evolutionists love to talk about how similar human and chimp DNA is. The actual amount often depends on who’s telling the story. More recently, informed evolutionists have abandoned the idea of 99% DNA similarity between humans and chimps. But let’s grant the 1% difference—it would mean a huge 30 million ‘letters’ difference. This is thousands of times too many for random mutation and natural selection to produce even in the alleged 6–7 million years—see Haldane’s Dilemma has not been solved. Yes, the name is apt, since they were a distinct kind of ape, and would certainly be called that colloquially by anyone today who could see a living specimen. The brain of an adult of this genus was about the same size as that of modern apes (as documented by the size of fossil skulls), and it appears to have spent part of its life climbing in trees, as indicated by its short legs and features of its upper limbs. But Australopithecus also walked upright, as humans do. Footprints left by one of the earliest Australopithecus species have been discovered preserved with remarkable clarity in hardened volcanic ash. More than 3.5 million years ago, two hominids walked upright across a field of newly fallen volcanic ash in eastern Africa. The footprints were covered by a subsequent ashfall until 1978, when they were unearthed by paleontologists. The Laetoli footprints, named after the site where they were found, are very early evidence of upright walking, a key acquisition in the lineage leading to humans. About 2.3 million years ago, the earliest species of Homo, the genus to which all modern humans belong, evolved in Africa. This species is known as Homo habilis (‘handy’ or ‘skillful man’). Its average brain size, as determined from skulls that postdate 2 million years ago, was probably about 50 percent larger than that of earlier Australopithecus. The earliest stone tools appear about 2.6 million years ago. About 1.8 million years ago, a more evolved species, Homo erectus (‘upright man’) appeared. This species spread from Africa to Eurasia. The subsequent fossil record includes the skeletal remains of additional species within the genus Homo. The more recent species generally had larger brains than the earlier ones. Of course, Lieberman would see H. erectus as a human ancestor, but this evidence is consistent with H. erectus being just a variant of the human created kind. Evidence shows that anatomically modern humans (Homo sapiens—’wise’ or ‘knowing man’) with bodies and brains like ours, evolved in Africa from earlier forms of humans. The earliest known fossil of a modern human is less than 200,000 years old. The members of this group dispersed throughout Africa and, more recently, into Asia, Australia, Europe, and the Americas, replacing earlier populations of humans then living in some parts of the world. So NAS relies upon the ’out of Africa’ or ‘Noah’s Ark’ hypothesis, which is far from universal even among evolutionary paleoanthropologists. The combination of fossil and molecular evidence enables biologists to construct much more detailed evolutionary histories than have been possible in the past. For example, recent fossil discoveries in Asia have revealed a succession of organisms that, beginning about 50 million years ago, moved from life on land first to hunt and then to live continuously in marine environments. This fossil evidence accords with recent genetic findings that whales, dolphins, and porpoises are descended from a group of terrestrial mammals known as artiodactyls, which today includes such animals as sheep, goats, and giraffes. In their previous work, Teaching about Evolution and the Nature of Science, NAS claimed that whales evolved from mesonychids (see RE ch. 5), but the story has since changed to artiodactyls. So the supposedly overwhelming evidence of mesonychid ancestry had to be explained away. That is, supposedly homologous features of mesonychids and whales, attributed to common ancestry despite the problems with this, had to later be explained away as homoplastic/convergent, i.e. having nothing to do with common ancestry. Most recently, studies of regulatory networks in the DNA of modern porpoises have revealed the molecular changes that caused the ancestors of these organisms to lose their hind limbs and develop more streamlined bodies. All of these forms of evidence support each other and add fascinating details to the understanding of evolution. We are evidently supposed to take their word for that. It’s more likely that this is a garbled account of dolphins supposedly found with legs, which turned out to be fins—see A dolphin with legs NOT. Fossils of Dorudon, found in Egypt and dating to approximately 40 million years ago, document a critical transition in the evolution of modern whales. Because it had evolved from a mammal that lived on land, Dorudon still had vestigial traces of hind limbs, feet, and toes (the small bones at the base of the tail), even though it lived in the water and used its long powerful tail to swim. The Dorudon was once classified as a juvenile Basilosaurus, since they are very similar long, slender marine mammals, but Dorudon was 5 m long and Basilosaurus 18 m. They are now classified as separate subfamilies of Basolosauridae. They are most likely varieties of the same created kind, much as the false killer whale (Pseudorca crassidens) and a bottlenose dolphin (Tursiops truncatus) are the same biological species given that they can produce a fertile hybrid called a wholphin. Much the same can be said about Dorudon as was already said about Basilosaurus in RE ch. 5: the serpentine body structure, cheek teeth and nasal bones mean that it could not have been an ancestor to modern whales. Also, the allegedly vestigial hind limbs actually had an important function as reproductive claspers. Much has happened in evolutionary biology since the release of the first two editions of this booklet, and this new edition provides important updates about these developments. Including changes that invalidated some of their claims in the first two booklets! Fossil discoveries have continued to produce new and compelling evidence about evolutionary history. New information and understanding about the molecules that make up organisms has emerged, including the complete DNA sequences of humans. DNA sequencing has become a powerful tool for establishing genetic relationships among species. DNA evidence has both confirmed fossil evidence and allowed studies of evolution where the fossil record is still incomplete. An entirely new field, evolutionary developmental biology, enables scientists to study how the genetic changes that have occurred throughout history have shaped the forms and functions of organisms. The study of biological evolution constitutes one of the most active and far-reaching endeavors in all of modern science. ‘Okada and his colleagues looked at genetic mutations caused by retroposons, lengths of DNA that can copy themselves into RNA and then reverse-copy themselves back into DNA at a different location on a chromosome. Closely related species share more of these mutations than more distant relatives. The analysis by Okada’s team forces a rethink of the relationships of many mammalian orders, which are currently classified by morphological and nuclear DNA sequence data. Another example of microevolutionary change comes from an experiment on the guppies that live in the Aripo River on the island of Trinidad. Guppies that live in the river are eaten by a larger species of fish that eats both juveniles and adults, while guppies that live in the small streams feeding into the river are eaten by a smaller fish that preys primarily on small juveniles. The guppies in the river mature faster, are smaller, and give birth to more and smaller offspring than the guppies in the streams do because guppies with these traits are better able to avoid their predator in the river than are larger guppies. When guppies were taken from the river and introduced into a stream without a preexisting population of guppies, they evolved traits like those of the stream guppies within about 20 generations. Once again, although SEC makes a big deal of this, this evidence makes sense in the biblical creation model. This is just another example of natural selection in action. And again, this process depletes information, rather than adding to it, so has nothing to do with changing fish into philosophers. A creationist can easily understand that the guppies that have the genetic information to grow bigger before reproducing are more likely to be eaten by the bigger river fish, so they will leave fewer offspring, so this information is depleted in the population. But in the streams, the guppies with information that allows them to grow too big for the stream fish to eat will be able to pass on that information better. And as long as the selective pressure in the river doesn’t eliminate the genes completely, the river guppies when transferred to the stream still have a few specimens with the genes for larger size. Then these are more likely to survive after the transfer. It’s one thing to claim that natural selection is the driving force of evolution, but quite another to explain the origin of the changes that natural selection acts upon. Darwin himself had no clue about genetics, which was discovered by the creationist abbot Gregor Mendel (1822–1884), a rough contemporary of his. Modern Darwinians claim that the raw material is random mutations, or mistakes when the genetic information is copied. But mutations tend to destroy information, even the rare beneficial ones like flightless beetles on windswept islands or blind fish in caves. Dr John Sanford, inventor of the gene gun, shows in his new book Genetic Entropy and the mystery of the genome (available soon) that mutations that add information are almost non-existent, certainly far too rare to explain the encyclopaedic information content of even the simplest living cells. Rather, harmful mutations accumulate every generation, so there is a very real problem of error catastrophe. Indeed the degradation is so fast that humans can’t have been around for millions of years. However, SEC has a couple of boxes that supposedly support evolution. In one box, SEC first invokes quite a major type of mutation, an inversion of whole chromosomes, but the result is just more of the same kind of creature. In another, SEC invokes a control gene, or ‘master switch’ for other genes as the explanation for real change in kinds. The drosophilid flies of Hawaii provide an excellent example of ‘adaptive radiation’, in which an ancestral species gives rise to a very large number of new species in a relatively short time. Evolutionary biologists have focused particular attention on a group of about 100 drosophilid species that have characteristic pigmented markings on their large wings. Known as the picture-winged drosophilids, these species carry within them a remarkable biological record of the group’s evolutionary history. Cells in the salivary glands of all Drosophila larvae contain special chromosomal structures known as polytene chromosomes. Easily visible through a microscope, these polytene chromosomes display hundreds of alternating dark and light bands of different sizes. These banding patterns make it especially easy to detect a kind of chromosomal rearrangement known as an inversion. Sometimes, a mistake during the duplication of DNA can cause a segment of the chromosome to be flipped. The result is a rearranged chromosome in which a section of the chromosome, with its characteristic light and dark bands, has a reversed orientation. Many inversions of this type have occurred in different segments of chromosomes in different species of flies. As individual species of drosophilids on the Hawaiian islands have diversified to form multiple species, researchers have used the resulting changes in banding patterns to reconstruct the sequence in which existing species of drosophilids moved from older islands to newer islands and gave rise to new species. For example, the ‘Big Island’ of Hawaii, which is the youngest in the island chain, currently has 26 species of picture-winged drosophilids. By examining the specific chromosome inversions in these colonizing species and comparing them with species that live on islands that are older, researchers have determined that flies on the Big Island have all originated from 19 separate colonizations of the island by a small group of flies (or perhaps single fertilized female flies) from one of the older islands. This is all very well, but once again, if the best evidence for evolution is fruit flies turning into fruit flies, evolution is in a bad way. Creationists have no problem with adaptation, speciation or the founder effect. This actually supports the creationist case: the changes observed in these flies merely reshuffle existing information or lose it (the founder carries only a fraction of the population’s genetic information), and the result is more of the same. These changes are just not the type that will change flies into flautists. See also RE ch. 2 and RE2 ch. 4. Molecular biologists have been discovering DNA regions that control the formation of body parts during development. Some of the most important of these DNA regions are known as Hox genes. Humans and all other mammals have 39 Hox genes. Individual Hox genes control the function of other types of genes, and the same Hox gene can control different sets of genes in different parts of the body. Hox genes are also involved in the development of many different anatomical features, including limbs, the spine, the digestive system, and the reproductive tract in diverse species of both invertebrate and vertebrate animals. For example, as illustrated in the figure [not shown here], the same Hox genes that control the development of body parts in the fruit fly Drosophila also control the development of body parts in mice and other mammals. … Hox genes also direct the formation of fins in fish and limbs in land-dwelling vertebrates. They are expressed in different patterns in limbed animals, resulting in the formation of fingers and toes. Changes in the expression of these genes were likely involved in the evolution of the early tetrapods, such as Tiktaalik. Certainly Hox genes control the expression of other genes—they are basically switches. However, there is obviously more to the differences between different animals than just switches. Evolution requires some way of generating the new information that’s to be switched on or off. The information needed to build a fish fin is vastly different from that needed to build a leg or arm. By analogy, the same switch on an electric outlet/power socket can turn on a light or a laptop, but this hardly proves that a light evolved into a laptop! Indeed, actual mutations in Hox genes have been shown to be harmful. Even in articles and TV programs touting Hox changes as proof of evolution could only come up with an extra functionless pair of wings on flies, or a functionless leg where the antenna should be (antennapedia). See RE2 ch. 5, as well as Hox (homeobox) Genes Evolution’s Saviour? and Insect leg development: Evolution out on a limb. Molecular biologists have discovered that a particularly important mechanism through which biological systems acquire additional functions is gene duplication. Segments of DNA are frequently duplicated when cells divide, so that a cell has multiple copies of one or more genes. If these multiple copies are passed on to offspring, one copy of a gene can serve the original function in a cell while the other copy is able to accumulate changes that ultimately result in a new function. The biochemical mechanisms responsible for many cellular processes show clear evidence for historical duplications of DNA regions. RE2 ch. 5 points out the many problems with this idea. What would keep the duplicated gene ‘off’ while it mutates, until a new function arose totally by chance—natural selection can’t work on this gene unless it is translated—then be switched on with this new function? This chapter also covers a favourite case study, hemoglobin. regulation of supposedly duplicated gene clusters and gene families is irreducibly complex, and demands simultaneous development of fully functional multiple genes and switching networks, contrary to Darwinian gradualism. ‘The majority of gene duplications are meiotic or mitotic aberrations, resulting in malformations or diseases. Plants can tolerate duplications, especially polyploidy, better than animals due to differences in their styles of reproduction. To maintain genomic stability, all cells have builtin mechanisms to silence duplicated genes, after which they become subject to degenerative mutations. Note that LGT does not explain the origin of any genes. But it does fulfil an old prediction by creationist Walter ReMine in The Biotic Message that LGT explanations will become widespread in explaining apparent genetic homologies that don’t fit their evolutionary phylogenies. Early evolutionists, such as J.B.S. Haldane, thought that there could never be wheels in living organisms, because natural selection could never produce it.22 Yet modern biology has discovered tiny rotary engines which contain wheels, so fulfil Haldane’s falsification criterion. The rotary motor of the bacterial flagellum is rightly regarded as an example of exquisite design (see The amazing motorized germ). Other motors in living organisms include ATP synthase, which makes the vital energy currency of the cell—ATP, and a powerful motor in a simple virus that’s essential for winding up its DNA. Biologists have examined each of the molecular systems claimed to be the products of design and have shown how they could have arisen through natural processes. However, one of the leading experts in the flagellum, Scott Minnich, disagrees with this, and points out that those who make the claim have no experience analyzing the flagellum. For example, in the case of the bacterial flagellum, there is no single, uniform structure that is found in all flagellar bacteria. There are many types of flagella, some simpler than others, and many species of bacteria do not have flagella to aid in their movement. This is like saying that propellers on airplanes can’t be designed, because there are many types of propeller, and some airplanes don’t use a propeller for propulsion. Thus, other components of bacterial cell membranes are likely the precursors of the proteins found in various flagella. In addition, some bacteria inject toxins into other cells through proteins that are secreted from the bacterium and that are very similar in their molecular structure to the proteins in parts of flagella. This similarity indicates a common evolutionary origin, where small changes in the structure and organization of secretory proteins could serve as the basis for flagellar proteins. Thus, flagellar proteins are not irreducibly complex. SEC is misleading its readers. 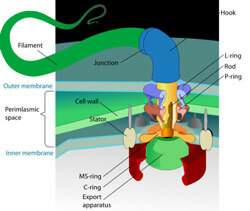 Minnich showed that in reality, the type-III secretory apparatus (TTSS) must have devolved from the flagellum (a more complex structure), if one did arise from the other. Note also, it is not a fallacious argument to appeal to a genuine authority, as Minnich is, on the flagellum. It’s actually quite logical under their own belief system. Evolution teaches that bacteria evolved before plants and animals. But they always had to swim, so it makes sense that the swimming machinery preceded the secretion machinery that would be needed only once multicellular life evolved. SEC has little excuse for proposing an explanation that defies even the best evolutionary theories, without informing readers. 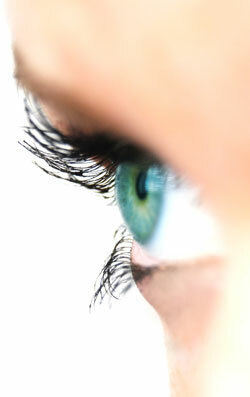 But SEC tries to defend the evolutionary case of gradual evolution of the complex eye from simpler ones. The octopus eye is quite complex, with components similar to those of the human eye, such as a cornea, iris, refractive lens, and retina. Other mollusks have simpler eyes. The simplest eye is found in limpets (top), consisting of only a few pigmented cells, slightly modified from typical epithelial (skin) cells. Slit-shell mollusks (second from top) have a slightly more advanced organ, consisting of some pigmented cells shaped as a cup. Further elaborations and increasing complexity are found in the eyes of Nautilus and Murex, which are not as complex as the eyes of the squid and octopus. There is no doubt that nature contains gradations in complexity. This is quite different from proving that this gradation is caused by evolution from simple to complex. It is possible to arrange different automobiles in order of complexity as well, but this doesn’t prove that the Model T, for example, evolved into the more complex cars. Rather, all the cars were designed. Strangely enough, one Tim Berra, in his book Evolution and the Myth of Creation, missed this obvious point when he used four different designs of the Corvette in different years as an analogy to evolution—leading ID proponent Philip Johnson calls this fallacy ‘Berra’s Blunder’. But the main problem with eye evolution is not the large-scale structure but the coordination of the parts, as well as the incredibly complex biochemistry involved in even the most rudimentary vision, as shown in the above articles. Much has been made of certain processes that allegedly mimic evolution to produce improved enzymes or structures. However, these processes are really a form of iterative algorithm, something that goes back at least as far as the creationist Isaac Newton! He used such a process to solve certain mathematical equations by making an estimate, performing a mathematical operation on that to produce a better estimate, then repeating (iterating) the process on the new estimate to produce an even better estimate, and so on. The concept of natural selection has been applied in many fields outside biology. For example, chemists have applied principles of natural selection to develop new molecules with specific functions. First they create variants of an existing molecule using chemical techniques. They then test the variants for the desired function. The variants that do the best job are used to generate new variants. Repeated rounds of this selection process result in molecules that have a greatly enhanced ability to perform a given task. This technique has been used to create new enzymes that can convert cornstalks and other agricultural wastes into ethanol with increased efficiency. First, we note again that natural selection is NOT evolution. Second, applying the lessons from Genetic algorithms do they show that evolution works? It’s one thing to select for a single ability, and quite another to select for the multitude of abilities that even the simplest living organisms have. In this case, we have a certain chemical ability already existing (e.g. binding affinity to something), and the changes can increase or decrease this ability more or less continuously. But there are many cell machines and more complex organs that need to be fully formed to work at all. So such gradual processes could not work, since there are discrete hurdles to be jumped. Molecules always survived, unlike in real life, and the artificial selection by humans (or their automated machinery) is far stronger than in the biological world. The chemical techniques for producing more molecules produce far more ‘offspring’ and at a higher rate even than microbes, let alone more complex creatures. The variation rate would correspond to an unacceptably high mutation rate if applied to an organism. And we have also pointed out that sometimes enzymes are highly finetuned for one particular substrate—it’s important that an enzyme doesn’t cause the wrong chemical to react. This is important for the precise control required in many cell processes. A loss of information would allow it to operate on more types of molecule. Proteins by their very nature of possessing both polar and non-polar side groups will stick to almost anything but other proteins. So it’s not too hard to imagine how a loss of information will allow them to catalyze more reactions. This may well be desirable for an enzyme that can convert many types of waste into ethanol. But this is in the wrong direction to produce the cell machinery necessary for life. See also Is evolution really essential for biology? So the origin of life is a big problem for materialists: if evolution by natural selection could not have started in the first place, it’s dead in the water. It’s pointless to talk about selection between two runners if both are dead on the starting line! ‘It seems to me that Richard Dawkins constantly overlooks the fact that Darwin himself, in the fourteenth chapter of The Origin of Species, pointed out that his whole argument began with a being which already possessed reproductive powers. This is the creature the evolution of which a truly comprehensive theory of evolution must give some account. In a handwaving way, SEC glosses over the problems. Evidence from the most ancient fossils reveals that life has existed on Earth for most of our planet’s history. Paleontologists working in Western Australia have discovered layered rocks known as stromatolites that appear to have resulted from the actions of bacteria at least 3.4 billion years ago, and fossils of cyanobacteria (also known as blue-green algae) have been determined to be nearly 3.5 billion years old. Other chemical evidence suggests that life may have originated much earlier, within a few hundred million years of when Earth’s surface finally cooled. It merely pushes the problem back a step. I.e. instead of choosing between creation and evolution for life on earth, this choice must be made for hypothetical alien life. SEC claims that creation is unscientific because it postulates a Creator who can’t be tested in the lab. But exactly the same objection can be raised to aliens! Figuring out how life began is both an exciting and a challenging scientific problem. No fossil evidence of life forms older than 3.5 billion years has yet been found. However, a 2004 paper argues from uranium geochemistry that there were oxidizing conditions, thus photosynthesis, at 3.7 evolutionary billion years ago.31 But according to evolutionary dating, the earth was being bombarded by meteorites up to 3.8 billion years ago. So even granting evolutionary presuppositions, this latest research shows that life existed almost as soon as the earth was able to support it, not ‘billions and billions of years’ later. Re-creating conditions that led to those earliest organisms is difficult because much remains unknown about the chemical and physical characteristics of the early Earth. Nevertheless, researchers have been developing hypotheses of how self-replicating organisms could form and begin to evolve, and they have tested the plausibility of these hypotheses in laboratories. While none of these hypotheses has yet achieved consensus, some progress has been made on these fundamental questions. Since the 1950s hundreds of laboratory experiments have shown that Earth’s simplest chemical compounds, including water and volcanic gases, could have reacted to form many of the molecular building blocks of life, including the molecules that make up proteins, DNA, and cell membranes. This refers to the Miller–Urey experiments, after graduate student Stanley Miller (1930–2007) and his supervisor Harold Urey (1893–1981), who had won the 1934 Nobel Prize for Chemistry for discovering deuterium (heavy hydrogen).33 These experiments used gases that most evolutionists now agree were not part of Earth’s early atmosphere. For example, as above, there was likely free oxygen, which the Miller–Urey experiments rigorously excluded. See also Why the Miller Urey research argues against abiogenesis. Meteorites from outer space also contain some of these chemical building blocks, and astronomers using radio telescopes have found many of these molecules in interstellar space. Sugars from space? Do they prove evolution? For life to begin, three conditions had to be met. First, groups of molecules that could reproduce themselves had to come together. Second, copies of these molecular assemblages had to exhibit variation, so that some were better able to take advantage of resources and withstand challenges in the environment. Third, the variations had to be heritable, so that some variants would increase in number under favorable environmental conditions. That’s a big problem. The article Self-replicating enzymes? addresses some of the popular candidates. This is important to keep in mind when reading popular accounts of evolution, or in response to those who claim that believers in design are ‘biased’. but researchers have shown how this process might have worked by studying a molecule known as RNA. Researchers recently discovered that some RNA molecules can greatly increase the rate of specific chemical reactions, including the replication of parts of other RNA molecules. If a molecule like RNA could reproduce itself (perhaps with the assistance of other molecules), it could form the basis for a very simple living organism. RNA is actually a very advanced molecule, and nowhere near being found in Miller–Urey experiments or in outer space. The chemical hurdles are enormous, as admitted by evolutionist chemist Graham Cairns-Smith (see also The RNA World: A Critique). If such self-replicators were packaged within chemical vesicles or membranes, they might have formed “protocells”—early versions of very simple cells. Changes in these molecules could lead to variants that, for example, replicated more efficiently in a particular environment. In this way, natural selection would begin to operate, creating opportunities for protocells that had advantageous molecular innovations to increase in complexity. Constructing a plausible hypothesis of life’s origins will require that many questions be answered. Scientists who study the origin of life do not yet know which sets of chemicals could have begun replicating themselves. Even if a living cell could be made in the laboratory from simpler chemicals, it would not prove that nature followed the same pathway billions of years ago on the early Earth. Certainly. See the cartoon (right). But the principles underlying life’s chemical origins, as well as plausible chemical details of the process, are subject to scientific investigation in the same ways that all other natural phenomena are. The history of science shows that even very difficult questions such as how life originated may become amenable to solution as a result of advances in theory, the development of new instrumentation, and the discovery of new facts. The picture of Earth’s place in the cosmos changed as much in the 20th century as it did in the 16th and 17th centuries following Copernicus’s then controversial suggestion that the Sun, not the Earth, was at the center of the known universe. It’s notable that Copernicus, as well as Galileo, Kepler and Newton, were all young earth creationists. 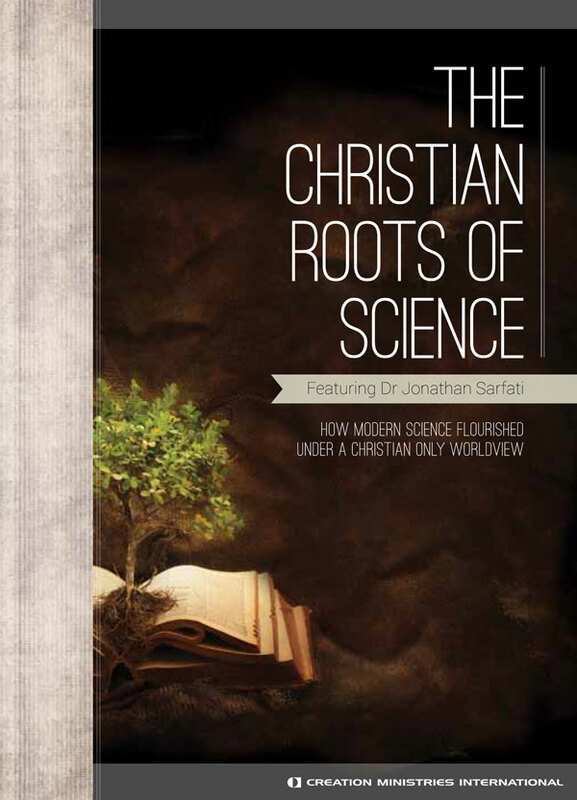 They never saw their discoveries as a threat to their biblical worldview. But they were a threat to the secular Aristotelian science consensus of their day, which is why the Aristotelians were Galileo’s staunchest foes. See The Galileo affair: history or heroic hagiography? And RE ch. 7. In the 1920s a new telescope at the Mount Wilson Observatory outside Los Angeles revealed that many of the faint smudges of light scattered across the night sky are not nebulae within our own Milky Way galaxy. Rather, they are separate galaxies, each containing many billions of stars. By studying the light emitted by these stars, astrophysicists arrived at another remarkable conclusion: The galaxies are receding from each other in every direction, which implies that the universe is expanding. But while recession in itself is consistent with both a no-centre and a centred model, there are certain data that make sense only with a centred model. One is the decades-long redshift analysis by William Tifft at the Steward Observatory in Tucson, Arizona. He found that the shifts are quantized, or in discrete groups. Since redshift is proportional to distance, this indicates that the galaxies form concentric shells around ours. If the observers of these redshifts (us) were not near the centre, the redshifts would be continuous. Another is the Sloan Digital Sky Survey, that shows that there are even larger-scale concentric groupings of galaxies. Much of this was covered in Refuting Compromise, but the most recent and more specialized discussion is in CMI’s new	book Starlight, Time and the New Physics by physicist and published cosmologist Dr John Hartnett. This observation led to the hypothesis first proposed by the Belgian astronomer and Roman Catholic priest Georges Lemaître that the universe originated in an event known as the ‘Big Bang’. According to this idea, all of the energy and matter in the universe initially were compressed into an infinitesimally small, infinitely dense, and infinitely hot object known as a singularity, about which scientists still know very little. That’s for sure. They even say that the current laws of physics don’t apply. So should they be objecting to a Designer who is outside the scope of scientific investigation, but promote a singularity that’s also outside the scope of scientific investigation? The universe then began to expand. As it did, the universe cooled to the point that the elementary particles that today form the matter of the universe became stable. The occurrence of the Big Bang, and the time that has elapsed since then, implied that matter in deep space should be at a particular temperature—a prediction confirmed by ground-based microwave radio telescopes. Later observations with satellites showed that the background radiation in the universe has exactly the properties that would be predicted from the Big Bang. This is historical revisionism. This nice story is undermined by the fact that in the 1950s, George Gamow and his students made a number of estimates of the background temperature ranging from 3 to 50 K. More importantly, Andrew McKellar’s analysis of the rotational spectra before Gamow had previously found a 2.3 K background temperature, so it was not a true ‘prediction’ of the big bang. See discussion of both above points in Nobel Prize for alleged big bang proof. As the universe expanded, the matter in it gathered, by way of gravity and other processes that are not yet fully understood, into immense structures that became galaxies. ‘The team compared their observations to supercomputer simulations of the early Universe, which could not reproduce strings this large. “The simulations tell us that you cannot take the matter in the early Universe and line it up in strings this large,”’ Dr Francis said. ‘“To explain our results the dark matter clouds that lie in strings must have formed galaxies, while the dark matter clouds elsewhere have not done so. We’ve no idea why this happened—it’s not what the models predict,” Dr Francis said. Within these structures, much smaller clumps of matter collapsed into whirling clouds of gas and dust. When the matter in the center of an individual cloud became sufficiently compressed by gravity, the hydrogen atoms in that cloud began to fuse into helium atoms, giving off visible light and other radiation—the origin of a star. Once again, the supposed original dust clouds would be too hot to be compressed under their own gravity, unless the cloud was as massive as a globular cluster (i.e. about 100,000 stars). And there would be no real ‘dust’ since the big bang is not supposed to have made elements heavier than helium; these are supposed to have been made in star cores, especially via supernovas. This is also important, because many models of star formation rely on radiating heat via molecules formed on dust grains. Also, there have been no stars observed without the heavy elements, the hypothetic ‘Population III’ stars that were supposed to be the first stars formed after the big bang. This confirms what we have said—see Are stars forming today? And Stars could not have come from the big bang. See also Refuting Compromise, ch. 5. Astrophysicists also have found that some stars form in the middle of a flattened spinning disk of matter. The gas and dust within such disks can aggregate into small grains, and these grains can form larger bodies called planetesimals. Here we see philosophical prejudice once again, not science. Computer simulations have indicated that planetesimals can coalesce into planets and other objects (such as moons and asteroids) orbiting a star. Our own solar system is likely to have formed in this way, and careful measurements have detected large planets orbiting stars in other parts of the Milky Way. These findings imply that billions of planets are orbiting the many billions of stars in our galaxy. Some who oppose the teaching of evolution try to cast doubt on radiometric age measurements. Radiometric dating is the product of more than a century of ingenious research and represents one of the most well-substantiated achievements of modern science. This is debatable, to say the least. It must ignore the 14C found in coal and diamonds, although it decays so quickly that it should all be gone in less than a million years. See Diamonds: a creationist’s best friend: Radiocarbon in diamonds: enemy of billions of years. For more detail on the problems with such dating, see A Christian response to radiometric dating by Dr Tas Walker, an engineer and geologist with considerable experience working with radiometric dating methods. 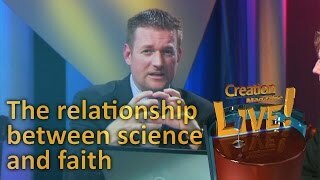 Science and religion are based on different aspects of human experience. In science, explanations must be based on evidence drawn from examining the natural world. ‘For centuries scientists have recognized a difference between establishing the existence of a phenomenon and explaining that phenomenon in a law-like way. Our ultimate goal, no doubt, is to do both. But to suggest, as the McLean Opinion does repeatedly, that an existence claim (e.g., there was a worldwide flood) is unscientific until we have found the laws on which the alleged phenomenon depends is simply outrageous. ‘Galileo and Newton took themselves to have established the existence of gravitational phenomena, long before anyone was able to give a causal or explanatory account of gravitation. Darwin took himself to have established the existence of natural selection almost a half-century before geneticists were able to lay out the laws of heredity on which natural selection depended. Scientifically based observations or experiments that conflict with an explanation eventually must lead to modification or even abandonment of that explanation. ‘But historical and sociological researches on science strongly suggest that the scientists of any epoch likewise regard some of their beliefs as so fundamental as not to be open to repudiation or negotiation. Would Newton, for instance, have been tentative about the claim that there were forces in the world? Are quantum mechanicians willing to contemplate giving up the uncertainty relation? Are physicists willing to specify circumstances under which they would give up energy conservation? We have also documented how Lakatos showed how a core theory could be protected from criticism because it was ‘protected’ by auxiliary hypotheses. Any conflicts can be blamed on these expendable hypotheses while the core remains intact. And in his previous paragraph, Laudan showed that some creationists are not as dogmatic as claimed, certainly when it comes to auxiliary hypotheses and models. Indeed, the most popular ‘real’ article on the CMI site is Arguments we think creationists should NOT use. Laudan concluded his critique with the following, and it is relevant 25 years later because the NAS is persisting with the same superficial philosophy of science. However, the claims of intelligent design creationists are disproven by the findings of modern biology. 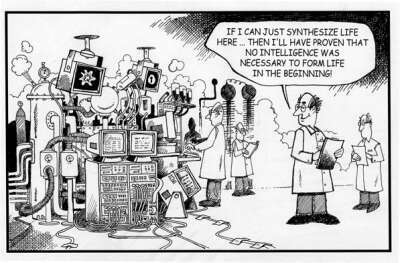 … Intelligent design is not a scientific concept because it cannot be empirically tested. But if the claims of ID are ‘disproven’ by certain findings, then they must have been empirically ‘tested’ and failed this test, which is impossible if they ‘cannot be empirically tested’! But since these sentences are two pages apart, their attention span may have been too small to notice this blatant contradiction. First, I would say ‘yes’. The government schools have not removed ‘religion’ but have replaced the Christian religion with atheism (the 7th Circuit Court of Appeals ruled, ‘Atheism is [a Wisconsin prison inmate’s] religion’). But SEC is not about to admit that. One of its main purposes is to anesthetize church leaders to the conflict, while their flock’s confidence in the Bible is undermined. But when an opponent insists that there is agreement, it is important to look at the terms and track record. E.g. Neville Chamberlain famously believed that his Munich 1938 meeting with Hitler would bring ‘peace in our time’. But as Winston Churchill had long been saying, the agreement terms were all about appeasing Hitler and gaining nothing in return. And Hitler’s track record showed that he was prepared to violate other treaties if it suited him. Now we know that Munich fatally strengthened Hitler and made WW2 inevitable, and Churchill lamented that no war in history had been as easy to prevent, by standing firm with the threat of superior force when Hitler was still weak (cf. Jesus’ point that the threat of superior force can induce peacemaking early on, Luke 14:31–32). The terms of the NAS’s view of non-overlapping magisteria (NOMA) are not good. They have demanded total surrender by ‘religion’ to ‘science’ of anything connected to the real world, while ‘religion’ must make do with ever-decreasing crumbs of ‘values’. 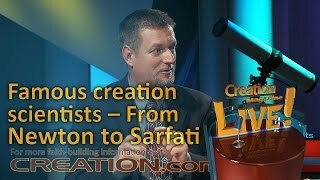 Thus theistic evolution and atheistic evolution differ in no practical way; or as John Woodmorappe says, ‘an “incognito creator” is essentially no different from a nonexistent creator,’ or as Dr Duane Gish pointed out, there may be theistic evolutionists, but theistic evolution itself is an oxymoron, just like an anhydrous reaction using water. A good illustration is Woodmorappe’s parable The horse and the tractor: Why God and evolution don’t mix. Religious faith, in contrast [with science], does not depend only on empirical evidence, is not necessarily modified in the face of conflicting evidence, and typically involves supernatural forces or entities. I.e. religion has nothing to do with the real world. However the Christian faith did depend on the empirical evidence that Jesus’ tomb was empty on the third day, and that He had appeared to over 500 at once according to reliable eyewitness testimony. There was even a falsification criterion: if the Roman or Jewish enemies had produced Jesus’ body, with the clearly distinctive features of crucifixion without any bones broken, they would have quashed this new faith. But despite having every motive, they could never produce this evidence. Previously, Jesus had provided other empirical evidence that He was the Messiah via the three specific miracles that had never been performed since Moses handed down the Law, and which the Rabbis had said only the Messiah would be able to do. These Messianic miracles were the healing of a Jewish leper (Luke 5, 17), casting out a demon that caused dumbness (Matthew 12) and healing a man born blind (John 9). Because they are not a part of nature, supernatural entities cannot be investigated by science. But their effects might be, e.g. the design in creation, as well as the empty tomb. See also RE ch. 9. In this sense, science and religion are separate and address aspects of human understanding in different ways. Attempts to pit science and religion against each other create controversy where none needs to exist. See the analysis of NOMA, as well as the problems with trying to mix Christianity and evolution, in RE2 ch. 2. On the contrary, an important component of religious belief is faith, which implies acceptance of a truth regardless of the presence of empirical evidence for or against that truth. This is a distorted view of ‘faith’. The biblical definition is belief and loyalty based on persuasion by evidence—see Fallacious Faith: Correcting an All-too-Common Misconception. See also Loving God with all your mind: logic and creation. Theologians have pointed out that as scientific knowledge about phenomena that had been previously attributed to supernatural causes increases, a ‘god of the gaps’ approach can undermine faith. We also note again the confusion between operational/observational science v origins/inferential science. For example, one would explain the workings of a computer’s hard drive by the ferrimagnetism of its surface and Maxwell’s electromagnetic equations, and not resort to an intelligence driving these workings. But this doesn’t mean that the programs and data, and the computer’s origin, should not be explained by intelligence. Also, the track record of NAS is overt hostility to religion. Larson and Witham, who have written extensively on the creation-evolution controversy, surveyed all 517 NAS members in biological and physical sciences on their belief in a personal God, and published their results in Nature.45 Just over half responded: 72.2% were overtly atheistic, 20.8% agnostic, and only 7.0% believed in a personal God. Belief in God and immortality was lowest among biologists. It is likely that those who didn’t respond were unbelievers as well, so the study probably underestimates the level of anti-God belief in the NAS. The percentage of unbelief is far higher than the percentage among U.S. scientists in general, or in the whole U.S. population. See also RE ch. 1. It’s notable that antitheists commonly use evolution as a weapon with which to bash theism. So should church leaders take seriously a bunch of known misotheists when they claim there is no conflict? Hitler told Chamberlain he wanted peace. Furthermore, under their own atheistic belief system, there can be no objective moral basis against lying if it suits their cause. Note that our argument is not that atheists cannot live ‘good’ lives, but that there is no objective basis for their goodness if we are just rearranged pond scum—see further explanation in Bomb-building vs. the biblical foundation. Newspaper and television stories sometimes make it seem as though evolution and religion are incompatible, but that is not true. Gould’s article was ‘The late birth of a flat earth’, a favorable review of the book Inventing the Flat Earth: Columbus & Modern Historians by historian Prof. Jeffrey Burton Russell. This book demolished the slander that flat-earth belief was widespread in the ancient and medieval church (see author’s summary), a slander that Gould largely blames on the book Tyson adulates. Modern historians of science have affirmed that far from being a matter of ‘warfare’, Christianity provided the essential support! See for example the books by Rodney Stark For The Glory of God: How Monotheism Led to Reformations, Science, Witch-hunts and the End of Slavery (reviewed in The biblical origins of science) and The Victory of Reason: How Christianity Led to Freedom, Capitalism, and Western Success (2005, reviewed in Christianity as progress). It should not be surprising, because the biblical framework is the only one that provides the foundation for science—an orderly universe, the right to investigate it, voluntary thought, logic and morality, as I explained in this feedback response. This is good evidence of what the NAS is trying to do—the goal of such negotiations is to induce the kidnapper to surrender! 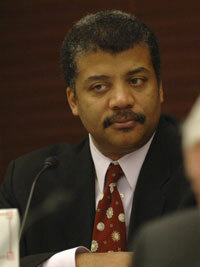 In general, Tyson’s arguments also ignore the Fall and the resultant deterioration. This is a huge problem with trying to mix God and evolution. Despite Tyson’s and Kitcher’s clear statements that contradict the ‘no conflict’ claims in SEC, the NAS relies on arguments from authority rather than dealing with the many problems with theistic evolution (see the articles under Why is evolution so dangerous for Christians to believe?). But CMI has already addressed two of their poster children in our peer-reviewed Journal of Creation—see Mutilating Miller: A review of Finding Darwin’s God, by Kenneth Miller; and Harmony and discord: A review of The Language of God: A Scientist Presents Evidence for Belief by Francis Collins. Then they invoke the Clergy Letter project, without informing readers that it’s the brainchild of an atheistic biologist Michael Zimmerman. Unfortunately too many churchians and ostensibly Christian schools and universities crave alleged intellectual respectability more than they respect the Bible and the Gospel. So they were only too eager to join with this outright atheist as well as outright heretics from the Unitarian churches (who officially deny the deity of Christ) as well as the Episcopalian church which is also largely apostate, e.g. former Bishop Spong. It’s also notable that these atheists only invoke churchians when they basically accept the atheistic account of earth history. So when church leaders support evolutionary ‘science’, we should listen to them; but when they invoke the latest science on the humanity of the unborn to argue against abortion, it’s ‘stick to religion; stay out of science and politics’ (much as pro-slavers said to abolitionists like Wilberforce). It’s in the interests of SEC to manufacture a bogeyman of creationists and IDers trying to force their beliefs into public schools. And as an American organization, they inform us of various court cases that are less relevant to non-Americans. But for American readers, it is worth covering, including suggesting possible alternatives to lobbying and analyzing the court cases. 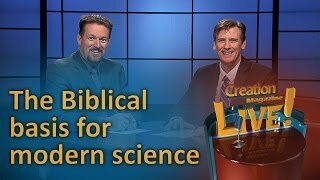 Before we go any further, we must iterate that Creation Ministries International has nothing to do with trying to force creation or ID into the public school curriculum, and we advise against such attempts. This has been our consistent position. ‘As a matter of public policy, Discovery Institute opposes any effort require the teaching of intelligent design by school districts or state boards of education. Attempts to mandate teaching about intelligent design only politicize the theory and will hinder fair and open discussion of the merits of the theory among scholars and within the scientific community. Furthermore, most teachers at the present time do not know enough about intelligent design to teach about it accurately and objectively. ‘Instead of mandating intelligent design, Discovery Institute seeks to increase the coverage of evolution in textbooks. It believes that evolution should be fully and completely presented to students, and they should learn more about evolutionary theory, including its unresolved issues. In other words, evolution should be taught as a scientific theory that is open to critical scrutiny, not as a sacred dogma that can’t be questioned. Discovery Institute believes that a curriculum that aims to provide students with an understanding of the strengths and weaknesses of neo-Darwinian and chemical evolutionary theories (rather than teaching an alternative theory, such as intelligent design) represents a common ground approach that all reasonable citizens can agree on. From our perspective, we would not want mandatory creation or ID teaching in public schools, simply because there would be nothing to stop anti-creationist teachers from distorting these positions. This is an official CMI position. But even worse than the academic shortcomings, the public school system is not ‘neutral’, because by ignoring God, they are implicitly taking a stand against the biblical teaching that the fear of the Lord is the beginning of wisdom and knowledge (Proverbs 1:7 and 10:9). And rather than removing ‘religion’ from schools, they have really removed Judeo-Christianity and substituted another religion, humanism, as explained in RE ch. 1. Indeed, it has been argued that the religious humanists have planned it brilliantly: convince Christians to send their kids for humanist indoctrination, and also to pay the humanists with their taxes. So it would be like Moses sending the Israelite children to be educated by the Canaanites in their pagan religion, and using Israelite tithes to pay the Canaanites for it! The parallel with the Canaanites, with the grotesque sexual immorality in their temples, is even clearer in California, where the new law SB 777 allows schoolkids to ‘choose their own gender’ when deciding whether to use the boys or girls restroom and locker room. The law may also replace terms like father/mother, husband/wife in textbooks, because they dare to suggest that heterosexuality is the norm, and where California goes, the US, then the western world, tends to follow. Again, CMI is officially apolitical, so has no official position on such ideas. However it seems to me that it is a useful idea to consider, rather than trying to mandate creation/design teaching in schools which CMI opposes. Even for their own purposes, citing the Dover case is futile. Since it was not appealed to a higher court, it is not a binding legal precedent anywhere outside of the Dover school district. Jones claimed that biochemist Michael Behe, when confronted with articles supposedly explaining the evolution of the immune system, replied that these articles were “not ‘good enough.’” In reality, Behe said the exact opposite at trial: “it’s not that they aren’t good enough. It’s simply that they are addressed to a different subject.” (emphasis added) The answer cited by Jones came not from Behe, but from the attorneys working with the ACLU, who misquoted Behe. ‘If you look at public polls in the United States, at any given time a significant percentage of Americans believe that it is acceptable to teach creationism in public high schools. And that gives rise to an assumption on the part of the public that judges should “get with the program” and make decisions according to the popular will. This is a misrepresentation of the issue. The complaint was not about the role of the US Constitution, but judges pretending that the Constitution is a ‘living, breathing document’, the meaning of which evolves to match their own policy preferences. An example is activist judges hallucinating an ‘emanation’ or ‘penumbra’ in the American Consitution to justifying the latest liberal cause, as with the notorious exercise of ‘raw judicial power’ in Roe v Wade to invent a constitutional right to abortion. 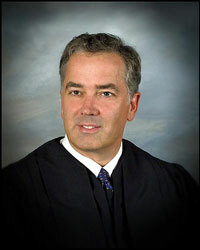 Another example is a judge ordering that Terri Schiavo be dehydrated and starved to death (which Jones supported). Obviously this is far more blatantly religious than anything the Dover school board wanted, with only a vague mention of alternatives to evolution or ‘design’. Yet at the time of the First Amendment, even this blatant pro-biblical teaching in the public schools was not considered contrary to it. Clark R.W., The Life of Ernst Chain: Penicillin and Beyond, pp.146–148, Weidenfeld & Nicolson, London, 1985. Return to text. Wood, B. and Collard, M., The human genus, Science 284(5411):65–71, 1999. Return to text. Woodmorappe, J., The non-transitions in ‘human evolution’—on evolutionists’ terms, Journal of Creation 13(2):10–13, 1999; . Return to text. Demuth JP, Bie TD, Stajich JE, Cristianini N, Hahn MW The Evolution of Mammalian Gene Families. PLoS ONE 1(1): e85, 2006 | doi:10.1371/journal.pone.0000085. Return to text. Tatsuya, A. et al., Comparative Sequencing of Human and Chimpanzee MHC Class I Regions Unveils Insertions/Deletions As the Major Path to Genomic Divergence, Proceedings of the National Academy of Sciences, USA 100:7708–13, 2003. Return to text. The Chimp-Human 1% Difference: A Useful Lie, www.creationsafaris.com/crev200706.htm. 29 June 2007. Return to text. Richmond, B.G. and Strait, D.S., Evidence that humans evolved from a knuckle-walking ancestor, Nature 404(6776):382, 2000. Return to text. Tuttle, R.H., American Journal of Physical Anthropology 78(2):316, 1989; Natural History, March 1990, pp. 60–65. Return to text. Tuttle and Webb, American Journal of Physical Anthropology, 1991, Supplement, p.175. Return to text. See video, The Image of God, Keziah Productions. Return to text. Woodmorappe, J., How different is the cranial-vault thickness of Homo erectus from modern man? Journal of Creation 14(1):10–13, 2000. Return to text. Gibbons, A., Java skull offers new view of Homo erectus, Science 299(5611):1293, 28 February 2003. Return to text. Wolpoff et al., Modern human ancestry at the peripheries: A test of the replacement theory, Science 291(5502):293–297, 12 Jan 2001; comment by Pennisi, E., p. 231, Skull study targets Africa-only origins. Return to text. Morwood et al., Fission-track ages of stone tools and fossils on the east Indonesian island of Flores, Nature 392(6672):173–176, 12 March 1998. Return to text. New Scientist 157(2125):6, 14 March 1998; based on Morwood et al., Ref. . Return to text. See also Creation 21(1):9, December 1998–February 1999. Return to text. Bednarik, R.G., Hobman, B. and Rogers, P., Nale Tasih 2: journey of a Middle Palaeolithic raft, International Journal of Nautical Archaeology 28(1)25–33, 1999. Return to text. Bininda-Emonds, O.R.P. et al., The delayed rise of present-day mammals, Nature 446(7135):507–511, 29 March 2007 | doi:10.1038/nature05634. Return to text. Bats and horses get strangely chummy, New Scientist, 25 June 2006. Return to text. Nishihara, H., Hasegawa, M. and Okada, N. Pegasoferae, an unexpected mammalian clade revealed by tracking ancient retroposon insertions, Proceedings of the National Academy of Sciences 103(26): 9929–9934, 27 June 2006 | DOI:10.1073/pnas.0603797103 Return to text. Lerat, E. et al., Evolutionary origins of genomic repertoires in bacteria, PloS Biology 3(5):807–814, 2005. Return to text. Dewar, D., Davies, L.M. and Haldane, J.B.S., Is Evolution a Myth? A Debate between D. Dewar and L.M. Davies vs. J.B.S. Haldane, p. 90, Watts & Co. Ltd / Paternoster Press, London, 1949. Return to text. Mecsas, J., and Strauss, E.J., Molecular Mechanisms of Bacterial Virulence: Type III Secretion and Pathogenicity Islands, Emerging Infectious Diseases 2(4), October–December 1996. Return to text. Nguyen L. et al., Phylogenetic analyses of the constituents of Type III protein secretion systems, J. Mol. Microbiol. Biotechnol. 2(2):125–44, April 2000. Return to text. Quoted n the Boston Globe, 23 October 2005. Return to text. My Pilgrimage from Atheism to Theism: an exclusive interview with former British atheist Professor Antony Flew by Gary Habermas, Philosophia Christi, Winter 2005. Return to text. Line, M.A., The enigma of the origin of life and its timing, Microbiology 148:21–27, 2002. Return to text. Fenchel, T. and Finlay, B.J., Anaerobic environments; in: Ecology and Evolution in Anoxic Worlds. pp. 1–31. Ed. May R.M. and Harvey, P.H., Oxford University Pres, 1995; cited in Line, Ref. . Return to text. Panspermia : the belief that life on Earth was seeded from outer space. The etymology is πάς/πάν (pas/pan, all) σπέρμα (sperma, seed), i.e. seeds of life are all over the universe. Return to text. Rosing, M.T. and Frei, R., U-rich Archaean sea-floor sediments from Greenland—indications of >3700 Ma oxygenic photosynthesis, Earth and Planetary Science Letters 217:237–244, 2004. Return to text. Eastman et al., Exploring the Structure of a Hydrogen Cyanide Polymer by Electron Spin Resonance and Scanning Force Microscopy, Scanning 2:19–24, p. 20. Return to text. Yockey, H.P., A calculation of the probability of spontaneous biogenesis by information theory, Journal of Theoretical Biology 67:377–398, 1977; quotes from pp. 379, 396. Return to text. Smith, Calvin, Do you want to be a millionaire? $1 million prize offered for scientific proof of natural-process origin of life, 15 August 2007; Halloway, A. Who wants to be a millionaire? 8 February 2008. Return to text. Orgel, L.E., The Implausibility of Metabolic Cycles on the Prebiotic Earth, Public Library of Science: Biology 6(1): e18, Jan 22, 2008 | doi:10.1371/journal.pbio.0060018. Return to text. Cited in Lang, L.H., Without Enzyme Catalyst, Slowest Known Biological Reaction Takes 1 Trillion Years, Biocompare Life Science News, 5 May 2003. Return to text. Not to be confused with geocentrism, the belief that the sun moves around the earth in an absolute reference frame. 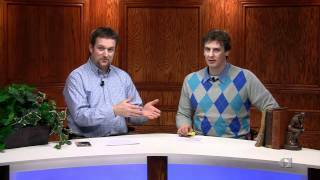 See Astronomy and Astrophysics Q&A. Return to text. Naeye, R., Birth of Uranus and Neptune, Astronomy 28(4):30, 2000. Return to text. Laudan, L., Science at the Bar—Causes for Concern, in Ruse, M., editor, But Is it Science? pp. 351–355, Prometheus Books, Buffalo, NY, 1988. Return to text. Dembski, W.A., Still spinning just fine: a response to Ken Miller, , 17 February 2003. Return to text. See also Weinberger, L., Whose god? The theological response to the god-of-the-gaps, Journal of Creation 22(1):120–127, 2008. Return to text. Larson, E.J. and Witham, L., Leading Scientists Still Reject God, Nature 394(6691):313, 23 July 1998. The sole criterion for being classified as a ‘leading’ or ‘greater’ scientist was membership of the NAS. Return to text. Bollinger, R.R. et al., Biofilms in the large bowel suggest an apparent function of the human vermiform appendix, Journal of Theoretical Biology 249(4):826–831, 21 December 2007 | doi:10.1016/j.jtbi.2007.08.032. Return to text. Weinberger, L., Assumptions, presumptions, and the future of faith (A review of Philip Kitcher, Living with Darwin: Evolution, Design, and the Future of Faith, Oxford University Press, New York, 2007), Journal of Creation 22(2), 2008 (in press). Return to text. Friedman, Milton and Rose, What’s Wrong with Our Schools? in: Free to Choose, 1978/9. Return to text. Andrew Coulson, director of the Center for Educational Freedom at the Cato Institute, interviewed by Brandon Keim, A Libertarian Solution to Evolution Education Controversy: No More Public Schools, Wired Science, 23 January 2008. Return to text. Quinn, P., The Philosopher of Science as Expert Witness, in Ruse, M., editor, But Is it Science? pp. 351–355, Prometheus Books, Buffalo, NY, 1988. Return to text.